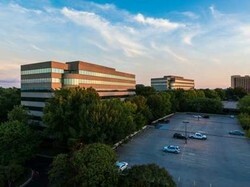 TENNESSEE -- Nashville-based Smith/Hallemann Partners has announced the sale of its Highland Ridge I and II office building portfolio in Nashville. ​The property, with more than 340,000 square feet in two buildings, is located near the Nashville International Airport. The portfolio was acquired by a joint venture of Smith/Hallemann and an affiliate of Harbert Management Corp. in early 2017 for $48 million. The buyer was an affiliate of Innovatus Capital Partners. The purchase price, according to Metro, records was $63.6 million. 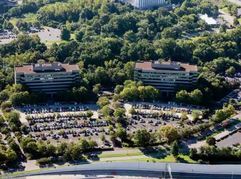 TENNESSEE -- Smith/Hallemann Partners has sold Highland Ridge I and II in Nashville, Tenn., to Innovatus Capital Partners for $63.6 million, according to public records. The two buildings total 340,642 square feet of Class B office space in the city’s Donelson-Hermitage submarket. Smith/Hallemann Partners-Trevecca partnership to hold Polk Center as long-term investment while working to improve the common areas. ​TENNESSEE -- A Nashville-based investment partnership and Trevecca Nazarene University have paired up to acquire a mixed-use office and warehouse property near the school's Murfreesboro Pike campus for $12.4 million. The Smith/Hallemann Partners-Trevecca partnership plans to hold the Polk Center at 191-195 Polk Ave. as a long-term investment while working to improve the common areas. The master-planned Highland Ridge Office Center includes roughly 900,000 square feet of office space. ​TENNESSEE — Investment banking giant Goldman Sachs has sold a pair of Nashville airport area office buildings to investors that include the original leasing agent for the property back in 1983. A joint venture of Smith/Hallemann Partners, whose chairman is Tom Smith, and Birmingham, Ala.-based Harbert Management Corp. paid north of $48 million for the eight-story Highland Ridge I & II buildings at 555-565 Marriott Drive. 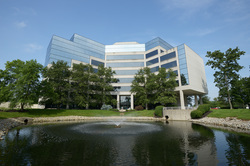 Mercy Health - Cincinnati leased two more floors of office space at 4605 Duke Drive. It now leases about 127,000 square feet of space in the building across five floors. Mercy Health – Cincinnati plans to move hundreds of jobs to its business office in Deerfield Township from its Blue Ash office. Mercy Health signed a lease for two more floors of space at 4605 Duke Drive in Deerfield Township. The new lease adds about 46,000 square feet of space to the 80,000 square feet the health system already leases there. One of four buildings sold in Duke Realty's Governor's Pointe portfolio, 4705 Duke Drive is a 141,900-square-foot building that is 93 percent occupied. Kemper Pointe, a 96,500-square-foot office building, was acquired by Smith/Hallemann Partners for nearly $9 million. Smith/Hallemann Partners purchased a 96,500-square-foot office building in Sycamore Township for nearly $9 million. Tom Smith, chairman of the Nashville-based owner, said Kemper Pointe, at 7870 E. Kemper Road, was attractive because it has been well-maintained with a really nice lobby and great location. His company acquired it from an affiliate of special servicer LNR Partners LLC. 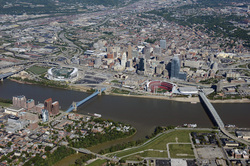 Between Great American Ball Park and Paul Brown Stadium on the riverfront of downtown Cincinnati is the much-awaited mixed-use development called The Banks. It links entertainment venues and connects the central business district to the waterfront via a riverfront park. General Electric will house its U.S. Global Operations Center in a building under construction there. Cincinnati’s central business district (CBD) is humming with activity, particularly in the office sector with nearly 13 million square feet of office space spread across 54 buildings. Class A office space has been in high demand in the past year as approximately 245,000 square feet was absorbed by area businesses, according to DTZ. During that time, the vacancy rate declined 380 basis points and now sits at 16.4 percent. The Banks, an 18-acre mixed-use development on the Ohio River between Great American Ball Park and Paul Brown Stadium, is driving much of the recent activity downtown. It links entertainment venues and connects the CBD to the waterfront via a riverfront park. 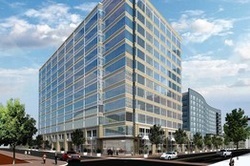 A much-anticipated 340,000-square-foot office building is currently under construction there. Omnicare Inc., the Cincinnati-based provider of pharmaceutical services to the elderly, announced Thursday it will become part of CVS Health Corp., the operator of 7,800 retail drugstores across the nation. 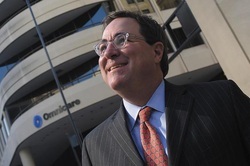 It was unclear initially on Thursday what the acquisition will mean for Omnicare’s operations in downtown Cincinnati, but the owner of Omnicare Center said he’s not worried. 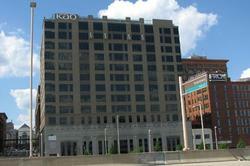 Two high-rise office buildings in downtown Cincinnati have been sold. A joint venture of Philadelphia-based Rubenstein Partners LP, SCP Elm Plum LLC and Parkway Corp. bought the buildings at 312 Elm St. and 312 Plum St. for an undisclosed sum. 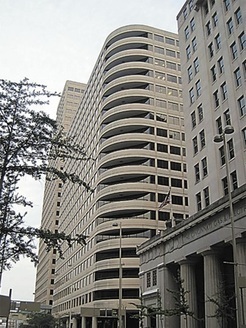 Two high-rise Downtown office buildings – including one that houses the Cincinnati Enquirer – have new owners. A joint venture of Rubenstein Partners LP, SCP Elm Plum LLC and Parkway Corp. bought the buildings at 312 Elm St. and 312 Plum St. for an undisclosed sum, the companies said Tuesday. The owners plan to renovate the buildings, including the lobbies, streetscapes and other common area spaces...read more. 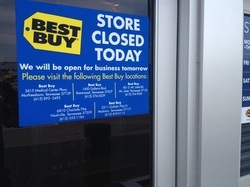 A Nashville-based investment partnership has acquired the former Best Buy store site in Antioch, hoping to benefit from development activity picking up in the area that lost several major retailers in recent years. Tom Smith can’t get enough of the Queen City.